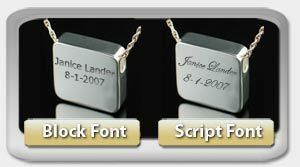 You can create a memory that will be with you wherever you are when you fill and seal our copper plated Ardor keychain memorial jewelry with a chosen honor in memorandum of a loved one, friend or pet that has passed on. Each Ardor keychain ash locket has been crafted to hold some blessed ground, a bit of cremains or even a small scroll in memory of your beloved. Size 3/4"w x 1-1/8"h.